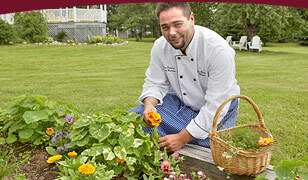 DesBarres Manor Inn is a member of the Authentic Seacoast™ Family of Properties, five unique brands that are defining the seacoast experience. Together with Osprey Shores Golf Resort, the Rare Bird Pub & Eatery, Skipping Stone Crafts & Gallery and the Chedabucto Bay Brewing Company, the Authentic Seacoast™ Family is committed to creating memorable seacoast experiences for our guests. We are looking for exceptional people to help deliver the warm maritime hospitality that we have become renowned for. Do you have a natural sparkle? Do you care about people? Do you pay attention to details? Are you enthusiastic? Do you have a desire to succeed? If you said yes to these questions, you are the type of person we want to join our Authentic Seacoast™ team. More than just a job, we offer a supportive and caring work environment, cross training in our businesses, promotion opportunities and career advancement, staff accommodations and other great benefits that come from being a member of a leading hospitality team in Atlantic Canada. We have a number of employment opportunities available for the 2008 season including cooks, bartenders, bar manager, housekeeping, innkeeper, front desk, sales associates and dishwashers.